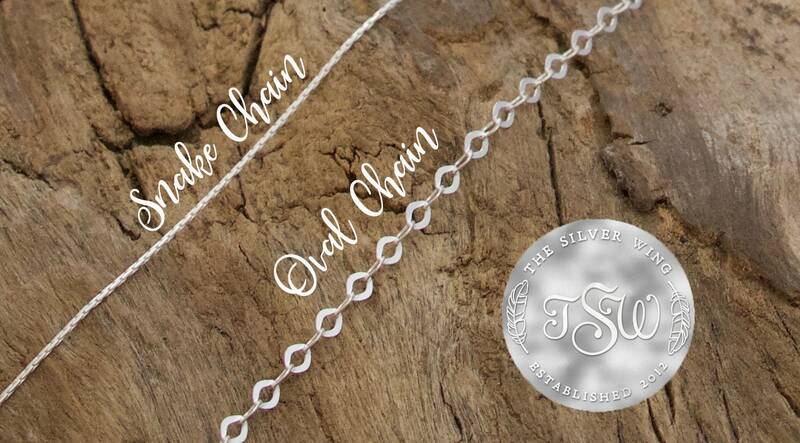 Three Sterling Silver rings intertwined. 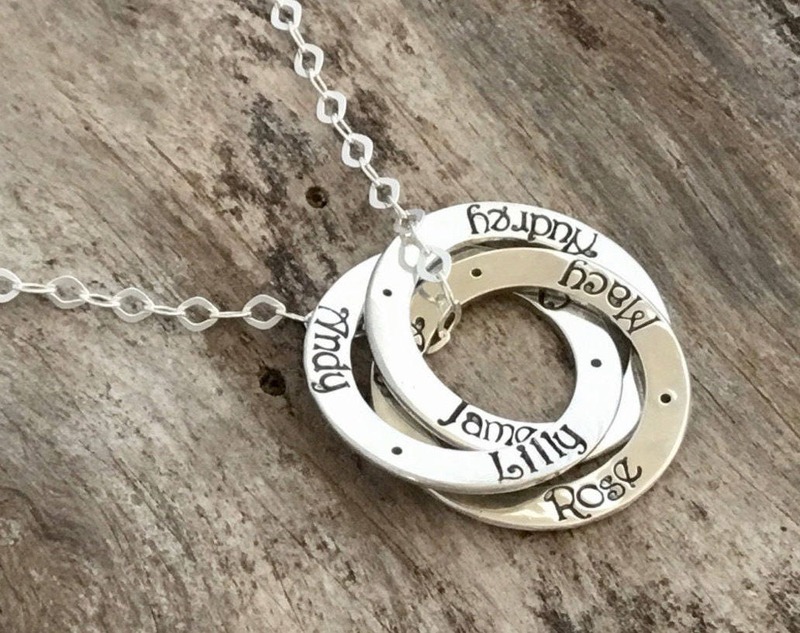 Each circle is Interlocking with Another To Create A Unique Name Necklace. 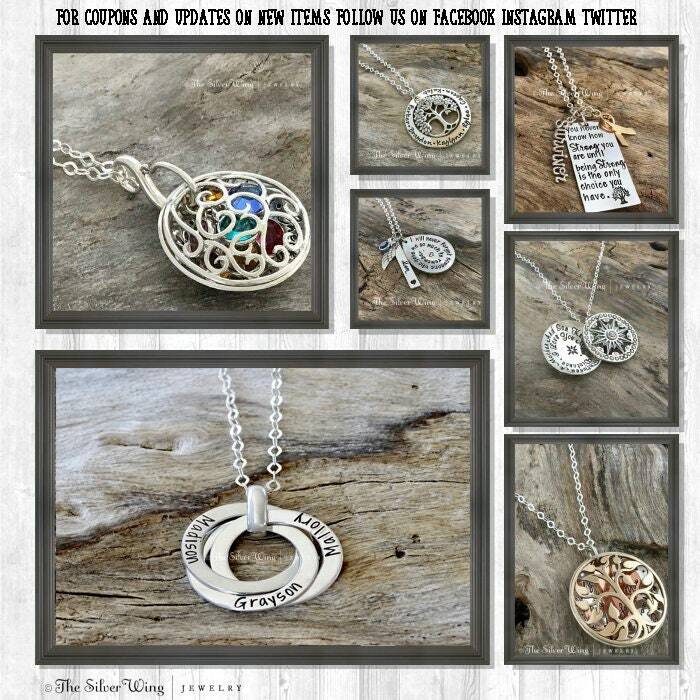 ♥ 3 - Rings are included in this listing. Each ring is 7/8" In diameter. Each disc measures a thickness equal to 18 gauge. Every Circle is intertwined with another circle and every ring moves freely through another. 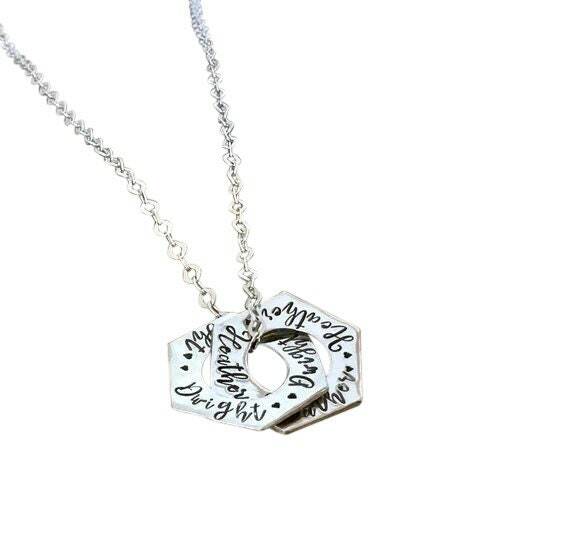 This design was created to resemble Russian rings. 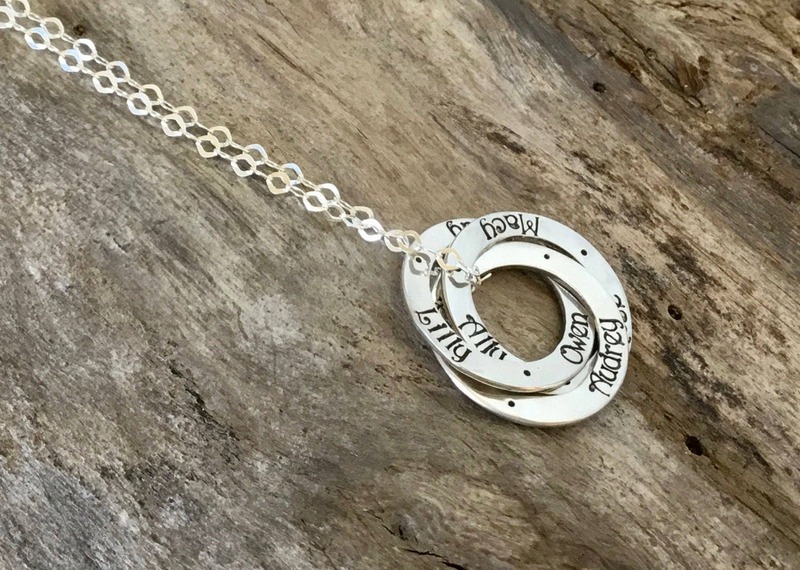 Circles are created from Sterling Silver 10 Gauge wire, joined by soldering therefore you may see a joint where disc is connected, then flattened through rolling mill. IMPORTANT - please choose a font in upper section of font guide (see last picture) Each circle can hold up to 25 characters including spaces with the fonts in the upper section of my font guide. 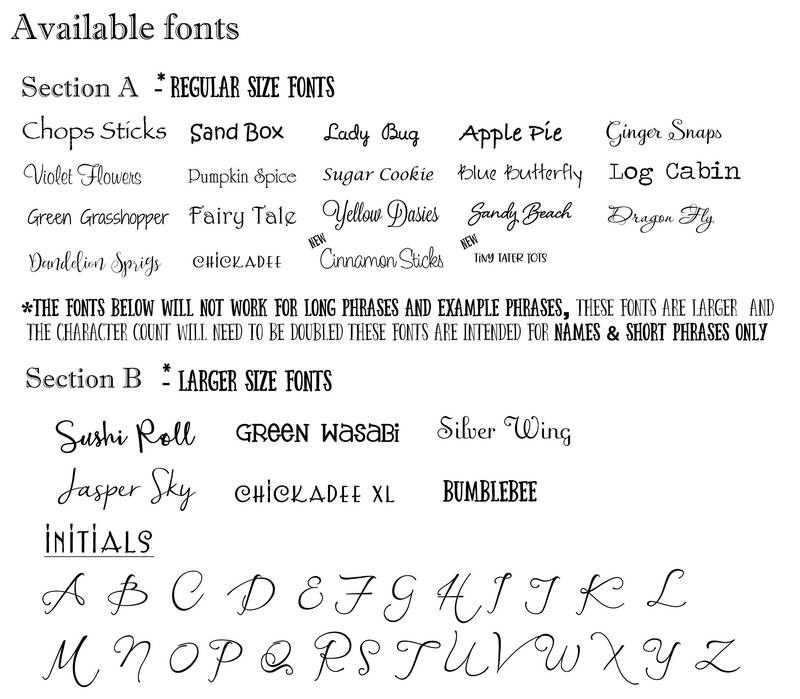 - If you choose a font from the lower section (these fonts are larger) only 18 characters including spaces will fit and some of the letters may be cut off, therefore I strongly suggest not using those fonts. 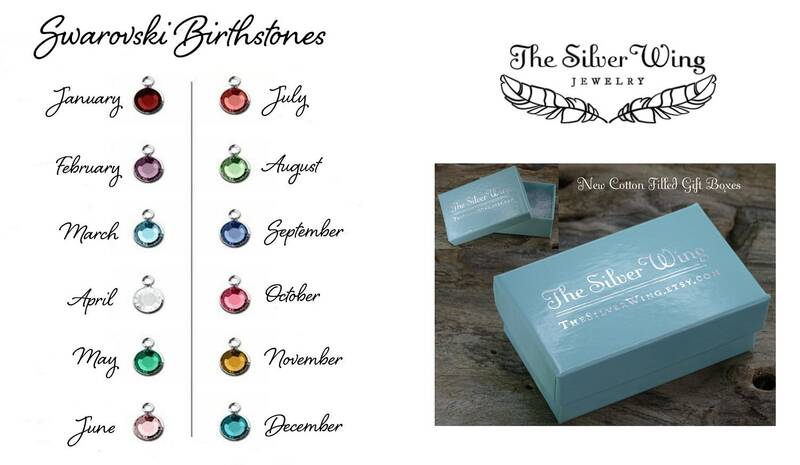 Every piece is finished like Fine Jewelry which makes The Silver Wing very Unique.♥Standard shipping does not have tracking, it is shipped small package air. 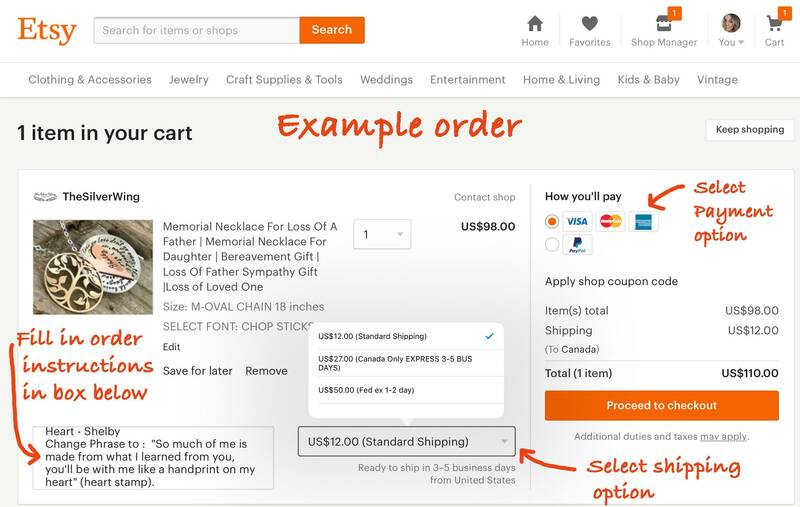 If you would like your order tracked this option is available at check out for an extra fee.